The comparative distribution of cefquinome in milk following intramuscular injection, before and after experimentally induced endotoxic mastitis in dairy cattle. Use of cefquinome for prevention and treatment of bovine endometritis. Einfluss verschiedener Reproduktionsphasen des Sau auf die Pharmakokinetik des Cepjalosporins Cefquinom. In vitro efficacy of cefquinome (INN) and other antiinfective drugs against bovine bacterial isolates from Belgium, France, Germany, The Netherlands and the United Kingdom. In vitro activity of ceftiofur tested against clinical isolates of Escherichia coli and Klebsiella pneumoniae including extended spectrum β-lactamase producing strains. Study of the Bactericidal Activity of Cefquinome on Porcine Bacterial Strains - Abstract. Pharmacokinetic aspects of a new dry cow therapy. Depletion of residues in edible tissues and milk following treatment with a new cefquinome dry cow formulation. Antimicrobial susceptibility of different pathogens isolated from clinical mastitis in French dairy cows. Sensibilité aux antibiotiques de colibacilles isolés lors de diarrhées néonatales chez le veau. Antimicrobial susceptibility of Sreptococcus species isolated from clinical mastitis in dairy cows. Untersuchungen zur Wirksamkeit und Verträglichkeit des neu entwickelten cephalosporins cefquinom bei an puerperaler Septikämie und Toxämie erkranten Sauen. Wirksamkeit von Cefquinom in der Behandlung boviner Mastitiden - eine Feldstudie. Antibiotic susceptibility of Escherichia coli strains isolated from neonatal diarrheic calves. Diffusion de la cefquinome dans les tissus de vaches traitées par voie intramammaire au tarissement. Distribution de la cefquinome dans le plasma et le lait de vaches à mammite endotoxinique. Inflammation markers in beef cattle during post partum peritonitis: a follow up after treatment with Cefquinome. Septicémie néonatale des veaux: efficacité comparée de la cefquinome et de la gentamicine. Influence of milking frequency on withdrawal period after application of β-lactam antibiotic-based drugs. Antibacterial activities in vitro and in vivo and pharmacokinetics of cefquinome (HR 111V), a new broad-spectrum cephalosporin. Die kilinsche Wirksamkeit von Cefquinom (Cobactan 2.5% Injektioslösung) in der Behandlung der Epidermitis exsudativa beim Schwein. Einsatz von Cobactan 2.5% bei Tieren (Rind). Einsatz von Cobactan 2.5% bei Tieren (Schwein). Einsatz von Cobactan 2.5% bei Tieren (Pferd). Einsatz von Cobactan 2.5% bei Tieren (Klein- und Heimtiere). Zur Therapie respiratorischer Erkrankungen beim Kalb mit dem cephalosprin cefquinom. Cefquinome (HR B56). In vitro evaluation of a broad spectrum cephalosporin indicated for infections in animals. In vitro activity of cefquinome, a new cephalosporin compared with other cephalosporin antibiotics. In vitro activity of cephalosporins and quinolones against Escherichia coli strains isolates from diarrheic dairy calves. Efficacy of Cobactan 7.5% against bovine respiratory disease caused by Histophilus Somni; Pharmacokinetic and pharmacodynamic data. Proceedings of the World Biuatrics Congress, Nice. Early assessment of the outcome of treatment with Cobactan 7.5% on naturally occurring Bovine Pneumonia. Proceedings of the World Buiatrics Congress, Nice. Clinical efficacy of Cobactan 7.5% in the treatment of naturally occurring bovine respiratory disease in Europe. Proceedings of the World Buiatrics Congress, Nice. Untersuchungen zur Wirksamkeit von cefquinom gegen eine experimentelle Haemiphilus-parasuis-Infektion bei primären SPF-Ferkeln. Pharmacokinetic and Pharmacodynamic aspects of Cobactan 7.5% in cattle. Proceedings of the World Buiatrics Congress, Nice. Wiksamkeit und Verträglichkeit des neu entwickelten Cephalosporins Cefquinom bei bakteriellen Atemwegserkrankungen des Schweines. The fourth generation cephalosporins : antimicrobial activity and spectrum definitions using cefpirome as an example. Cephalosporine - Eine Frage der Generation? 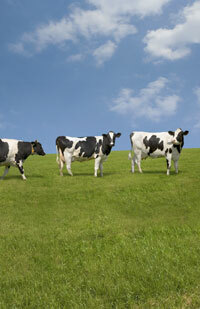 Cefquinome - a new molecule in the treatment of acute mastitis in dairy cows. Cefquinome efficacy on milk yield and somatic cell counts in the treatment of acute mastitis in dairy cows. Efficacy of cefquinome fopr treatment of cows with mastitis experimentally induced using Escherichia coli. Efficacy of a new cefquinome dry cow formulation in a controlled, randomized and partially blinded field study. Study of the Local Tolerance of Intramammary Administration of Cobatan® LC in the Dairy Cow. Tissue and Milk Pharmacokinetics of Cobactan® LC in the Dairy Cow. Clinical efficacy of Cefquinome in the treatment of exudative epidermitis in pigs. A comparative field study of the efficacy of cefquinome and amoxycillin against acute meningitis of weaned piglets. Cefquinome - a multi-site controlled field efficacy study in bovine subacute mastitis. Comparative efficacy of cefquinome and gentamicin in the treatment of neonatal calves with clinical signs of septicemia. Efficacy of Cefquinome (Cobactan® 2,5%) in the Treatment of Streptococcus suis Experimentally Induced Meningitis in Piglets. Susceptibility of bovine amoxicillin-resistant Salmonella spp. to beta-lactams antibiotics. Survey of cefquinome susceptibility of Pasteurella multocida and Mannheimia haemolytica isolated from diseased cattle in Europe from 1994-2005. Activité bactéricide de la cefquinome sur Streptococcus suis dans le liquide céphalorachidien du porc. Surveillance pré-et post-marketing de la sensibilité des bactéries pathogènes du porc à la cefquinome. The Treatment of Sub-Clinical Mastitis in the Young Dairy Cow - A Practical Application? Praxisorientierte Erfahrungen mit Cefquinom bei der lokalen und kombinierten Mastitistherapie.